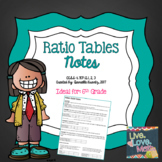 This is a 4-lesson bundle that is designed for use in a 7th Grade Math classroom. Three of the lessons are geared towards the 7th Grade TEKS (Texas) and the other one is geared toward 8th grade. If you teach Pre-AP, this would be perfect for you! This is a scavenger hunt that can be used as a review for a test or an enrichment activity. All problems cover surface area of the following figures: rectangular prisms, triangular prisms, rectangular pyramids, triangular pyramids and cylinders. 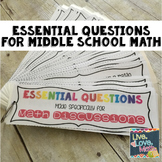 Ask Live Love Math a question. They will receive an automated email and will return to answer you as soon as possible. Please Login to ask your question. I am in my 13th year of teaching middle school math in Texas. I have experience teaching 6th, 7th, and 8th grade math and LOVE it! Aside from teaching, I coach our school's dance team. I am married and we have the sweetest dog, Banjo! I enjoy creating materials to maintain a hands-on, student-centered classroom in my "free time." Let me know if there is something that I can create for you!